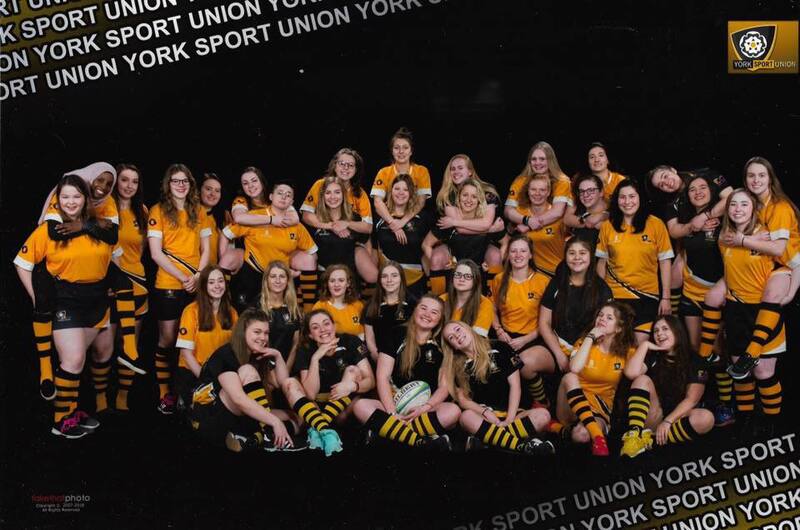 The University of York Women's Rugby Club has a long history of producing great teams and - more importantly - great team mates. This year, UYWRUFC looks to build a strong alumni network that can help maintain the UYWRUFC family links well beyond graduation day. The Alumni Support Fund will give Alumni the opportunity to donate to the club and help support and develop the teams that still give so much to people's university experience today. In return, Alumni can join their own supporting scheme that seeks to continuously integrate them into UYWRUFC life (both at the university and beyond), keeping them up to date with all the best and brightest from the club. With a thank you gift each year on the side, what's not to love? Though this YuStart page is only temporary, UYWRUFC looks to move the Alumni Support Fund to a more permanent location in the future. In the meantime, we welcome this trial period as an opportunity for feedback on the scheme and, above all, to welcome 'new' (old) members to our growing UYWRUFC family! At half the price of the Alumni Supporter package, being a Mini Supporter still has its benefits! Every Mini Supporter will receive the monthly alumni e-newsletter, as well as a thank you card (and other cards through the year!) from the club. Being an Alumni Supporter comes with all the benefits of being a Mini-Supporter - the alumni e-newsletter and cards - and much more! Alumni Supporters will also receive a thank you gift and join the Alumni Supporter Loyalty Scheme, where you get a gift every year you renew as part of a continuing loyalty scheme. Alumni Supporters will also get a discount on their ticket to the 2019 President's Weekend Meal, the brightest event in the UYWRUFC Alumni Calendar! As a welcome gift, supporters this year will receive an old girls' UYWRUFC playing shirt, while stocks last! All the bang of the Alumni Supporter package for two years for less buck. What's better than that? Though the Alumni Support Fund means we would love for alumni to join the scheme to help build the alumni network (and get treats too! ), if you just want to donate without any of the rewards, this is of course an option too! UYWRUFC is an ever-growing and expanding club. This year across the Freshers' Fairs we had a record 265 sign ups, and though we are immensely proud to be able to keep growing the sport we all love, there are, of course, associated costs. Last year saw the launch of our 2nds XV to great success, and we want to be able to continue to support them as they develop, as well as push our firsts even further to more success. Donations from the Alumni Support Fund will help maintain the quality of rugby we have grown to achieve, with provisions for equipment, transport and coaching support. Want to hear more from us now? Can't wait to get the newsletter? Head to http://www.uywrufc.com/alumni now to sign up today and get all the latest news from your favourite rugby girls! Mini-Supporter - join for the e-newsletter and a thank you card! Alumni Supporter - the full package gets you the e-newsletter, thank you card and gift, and a discount to the 2019 President's Meal! This year receive an old girls' playing shirt as a welcome gift, while stocks last! Two Year Supporter Deal - everything from being an Alumni Supporter for two years with savings thrown in!